Yes! I can now file my PIT online. 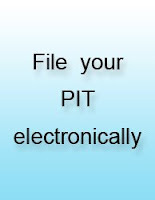 Actually not fully online, but electronically – download the PIT return form and send it in as an email attachment. I’m not complaining. This is a huge step forward. So, well done. I’m going to file my PIT electronically. Are you? Internet came to Bhutan in June 1998. It’s been more than a decade. Let’s see what I can now do online: I can read the news, participate in online forums; maintain a blog; check government announcements, complain to ACC, check if I’m a registered voter, download government forms, apply for foreign labour, register for employment, and a few more things. Now let’s see what I still can’t do online: I can’t renew my drivers’ license, apply for a passport, apply for security clearance, check my bank balance, pay utility bills, pay telephone bills, make loan installments, apply for school, attend online classes, apply for and renew business licenses, update and transfer my census, buy bus tickets, buy air tickets, process building permits, pay other taxes, apply for rural timber, declare my assets, and a lot more. Improving online services will reduce red-tape, corruption and expenses. Connectivity is no longer an issue. Nor is human resources. See what Singaporeans can do online. Didn’t I read somewhere in kuensel or bbs that drukair ticket can be bought online? Now, it seems like it is no more available. Yeah, of course Bhutan has a long way to go! WOW! This is great news for Bhutan. A huge congratulation to DRC for making this possible. to me…. Bhutan is making progress……..probably a great deal of progress…..while there is a long way to go… i would rather there was better maintanance, efficiency and sustainability in what is started instead of strating newer things to prove progressiveness and development. i think we can take it slow as log as it is good and it lasts. many things that have been started in the last few years have extinct… required things in mean…. like somebody mentioned buying druk air ticket on line…or being able to apply for a job with the DOE on line… i am not sure if people even update those information as much as required…. or any websites( government or non profits or private)so to speak. i don;t know….. what is the real problem or are we even willing to accept it if we know what the problem is…..
nevertheless, i like your blog and the kind of issues that are discussed on it. Internet in Bhutan was launched in June 1999, not 1998. Though Bhutan has shown its improvement in such type of electronic facilities which make a lot more easier for people to access the information, few of the ministries’ websites are not updating regularly. For ex. Education Ministry website, its latest updates were done in 2006 and no useful information is posted there! Specially, ministries’ websites are must to be updated regularly! I only find the Ministry of Agriculture’s website being updated, at least twice a week on average. The rest are just sitting unfazed, like most of our bureaucrats! Are we ready for it? Is Bhutan prepared for it? It’s indeed fast and obviously more convinient to do it all from the comfort of your office or home. But let’s consider that it will reduce the currently required labor force by half or less if everthing was computerised. Will there be enough jobs then to employ the remaining? This brings to mind the failure of Traffic Lights in Bhutan. Are the mass population of Bhutan ready for a Digital Bhutan yet? But, it definately makes the utmost sense for people like you and me. I am frustrated as hell with the banks in Bhutan. I can’t even access my own account without the expensive calls and long waits and holds.I truly wish we had internet banking in our country. Likewise, I wish there were more government information published on the web so that any one can access it from anywhere. Well, just a debate going on in my head after reading your blog. There is a lot at play when services are expected online. Foremost is the infrastructure. There is very low PC and internet penetration and for the matter literacy. Second is the culture of using credit cards. How many of us have used our BNB Debit cards? This requires a shift in the culture of using paper money to Card. BNB is pioneering the move away from paper money. Enough being said about why it cannot be done, I strongly believe that for the shift to e-services, the government has to take the lead role. There is no institution in Bhutan which enjoys more trust than the government, not to mention the resources and the expertise too. We are definitely ready for being Digital. It’s just a matter of attitude. Technology is the most amazing thing only problem is changing the mindset of people. The Technical Guidelines on ICT for preparation of the 10th FYP – 2006, envisaged similar proposal to provide, “one window utility billing and payment system” where water, electricity and telephone bills can all be paid through a one window system. It states that Bhutan has now fully computerized billing system for all these utilities and payment of electricity and telephone bills can already be done either in BTL or the Druk Green Corporation offices. All that is required for now is to have the City Corporation to be a part of this. Further integration of billing system may be required to enable all bills to be paid in one counter and it is believed that Bhutan Post Ltd. has already taken an initiative in this direction. The next level of development should be really to facilitate online view of the bills and payment system.  Rural-based Services: facilitating online services on (i) Timber and firewood permits, (ii) Loan schemes (iii) Marriage certificates (iv) Death and birth registration. (v) Other modules could be added as and when required.  Trade Licensing and Handling System: online processing and approval of licenses.  Personnel Income Tax Payments: enable online submission of tax returns and payments. The Bhutan Portal website http://www.bhutan.gov.bt/citizen/index.php maintained by Department of Information Technology (DIT) attempts to provide online e-services through the above website but it requires more publicity and dissemination of information of its services. However, without the lack of physical infrastructure services centre, the provision of this service could be restricted to few elite or educated group without actually reaching to the community at large. Issue / renewal of driving licences (non-transport vehicles).